We’d love your help. Let us know what’s wrong with this preview of Sisyphus, Outdone. by Nathanaël. Here, Nathanael engages the catastrophal photographic, translative, architectural calling to the scene a discrepant combinatory of voices including Ingeborg Bachmann, Ludwig Wittgenstein, and Dmitri Shostakovich, to insist on the relational and seismic state of language and the image." To ask other readers questions about Sisyphus, Outdone., please sign up. Be the first to ask a question about Sisyphus, Outdone. I keep re-reading and re-reading this book and can't decide whether or not there will be a moment when I am "done" with it. Nathanaël is a Canadian writer, literary translator and educator. Some of her works have been published under her legal name Nathalie Stephens. She lives in Chicago. In 1970 Nathanaël was born as Nathalie Stephens in Montreal. She studied Literature at the Lumière University Lyon 2 and the York University, Toronto. Since 2002 she is member of the Québec Union of Writers. She teaches at the School Nathanaël is a Canadian writer, literary translator and educator. Some of her works have been published under her legal name Nathalie Stephens. She lives in Chicago. In 1970 Nathanaël was born as Nathalie Stephens in Montreal. She studied Literature at the Lumière University Lyon 2 and the York University, Toronto. Since 2002 she is member of the Québec Union of Writers. She teaches at the School of the Art Institute of Chicago. Furthermore, she is a contributing editor to the French online magazine Recours au poème and the American magazine Aufgabe. 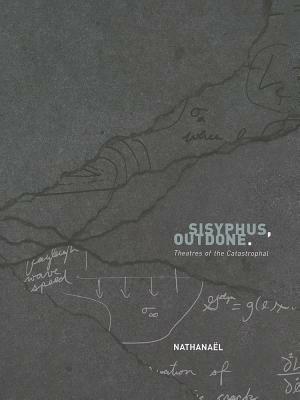 Nathanaël writes intergenre, poetry, prose, and essays — in English and French — which have been translated into Bulgarian, Basque, Greek, Portuguese, Slovenian and Spanish. Her book Underground was finalist for a Grand Prix du Salon du livre de Toronto in 2000. L’injure was shortlisted for a Prix Trillium and the Prix Alain-Grandbois in 2005....s’arrête? Je won the Prix Alain-Grandbois in 2008. Nathanaël has translated John Keene, Trish Salah, Reginald Gibbons, Bhanu Kapil, R. M. Vaughan et al. into French and Hervé Guibert, Danielle Collobert, Hilda Hilst, Édouard Glissant and Catherine Mavrikakis into English. Her translation of Danielle Collobert’s novel Murder was shortlisted for a Best Translated Book Award 2014. She has been awarded with fellowships from the PEN American Center (2012) and the Centre National du Livre de France (2013) for her translation of Hervé Guibert’s The Mausoleum of Lovers.